BridgmanCollaborative undertook a detailed condition assessment of 48 buildings on the Fort William site. Site strategies were developed to create a heritage- sensitive accessibility plan, flood mitigation measures and sustainable building restoration program. 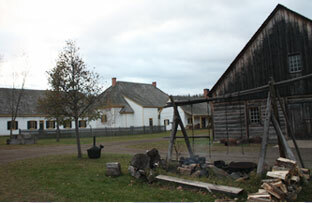 The Standards and Guidelines for the Conservation of Historical Places in Canada formed the basis for the interpretation of both the site and the buildings. BridgmanCollaborative Architecture generated a 50-year operating and maintenance financial plan, one based on developing a sustainable vision of the site as a historic cultural heritage centre.